‘Venus’ is a medium-sized (5 feet x 5 feet) deciduous shrub. 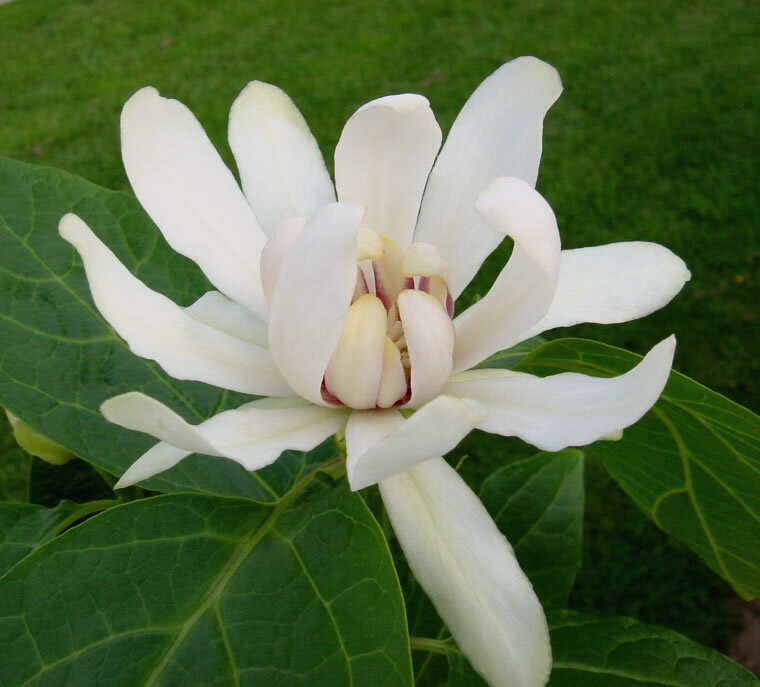 Ivory yellow buds transform into magnolia- like, white flowers with yellow and purple infusions in the center. Flowers have an enticing fragrance with aromas of strawberries, melons, and spices. Flowering is primarily in the spring, though additional flowers are produced throughout the growing season. ‘Venus’ is a complex hybrid consisting of (Calycanthus chinensis x Calycanthus floridus ‘Athens’) x (Calycanthus chinensis x Calycanthus occidentalis). Zones 5-9. Roots readily (>95%) from firm, subterminal, softwood cuttings when treated with a basal dip of 5,000 – 10,000 ppm indole-3-butyric acid potassium salt in water. Spots on the tepals can be a problem in some settings and seem to result from a combination of flower thrips and wet conditions.